We all want more leads through our website, but ultimately, we want those leads to be customers. According to HubSpot, lead nurturing can produce 50% more sales-ready leads, at 33% lower cost! That sounds to me like a winning strategy! In this video, we’ll layout how lead nurturing fits into your online marketing plan, and even show some examples. This is Part 7 of your Online Marketing Plan for Manufacturers. We’ve come a really long way toward building you an awesome marketing plan! In this video, we’re going to learn how Lead Nurturing helps us Close more website leads into customers. If you’ve learned anything from this video series, you should know that today’s buyer does a ton of research before they’re ready to buy. Remember the Buyer’s Journey!? If a visitor is in the awareness or consideration stage, they’re probably just looking for education, not a sales conversation. So, how do we handle the variety of leads we’ll see through our website? It starts by having a clear understanding of your conversion opportunities’ alignment with your personas’ buyer’s journey. If a website visitor lands on your manufacturing website and reads content targeted to the awareness stage, then downloads an awareness stage eBook, you should have a pretty clear understanding of where they are in their buyer’s journey… Their Awareness Stage. If they land on an awareness stage blog post, and convert into a lead by downloading a Consideration stage offer, they’re either in their awareness stage or consideration stage. You’ll need to approach them a little differently. You get the idea, right? Turning a lead into a customer requires understanding their context and providing support in the way of lead nurturing to move them through their buyer journey. What the Heck is Lead Nurturing? I’ve referenced lead nurturing a few times now so I want to provide some insight into what I’m talking about. You might recall from the last video that when the website visitor downloaded an Awareness Stage eBook, we needed to automate an email to the lead that downloads a premium offer, thanking them for downloading the content and providing a link to the resource. This is often the first step in the nurturing stage. BUT, our communication with them shouldn’t stop there. Our goal is to move them through their buyer’s journey and turn them into Closed deals. A couple days ago, you downloaded an ebook on [Topic]. I just wanted to touch base real quick and see if you had a chance to read it? If so, did it answer your questions? If not, I’d be happy to help. Also, many folks that download this eBook, also have questions around [Topic #2 - Consideration Offer]. 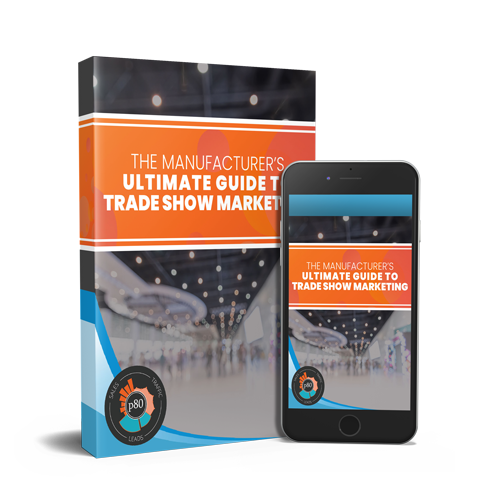 Here’s a link to another eBook we created with a ton of helpful information on that topic. Now we’ve sent 2 automated emails. Our hope is that the lead will either respond to this email and start a dialog, or take advantage of the 2nd offer we’ve provided a link to. Either way, we want to further qualify this lead and move them along their buyer’s journey. They may jump right to their decision stage and email you to start a sales conversation, but they also might need more support to get there. Using marketing automation, we can wait a couple more days and leverage our CRM to determine if they’ve taken advantage of the second, consideration stage, premium offer we sent. If they have, we need to automate an email to them, similar to the last email we sent. We need to ask if they need any questions answered, and suggest either another consideration stage resource, or a decision stage resource. I’m just checking back in with you to see if you got my last email? I noticed that you didn’t respond and haven’t downloaded the [Topic #2 Offer]. I just want to make sure you’re getting all of the information you need! I may have misinterpreted what you’re researching. Here’s a guide to [Topic #3] that might be helpful if your situation is more [fill in the situation]. Again, I’m trying to be helpful here. The goal is further qualification of this lead and moving them down the funnel towards their decision stage. I hope all is well! It’s been a couple weeks since you’ve downloaded [Titles]. I hope it was helpful and that you’ve been able to answer the questions you had. Since I haven’t heard back I’ll assume you’re all set. I won’t follow up again unless I hear back from you. This approach will sometimes elicit a response. They may have been busy, or putting this off, and a break up email will get them to at least keep the dialog open. The example we’ve been using here is for a lead presumed to be in their Awareness stage. The process is similar in the Consideration stage. In the consideration stage you might want to share content that helps the lead weigh the options they are likely considering. In the decision stage, you can be a bit more forward. If the lead downloads a case study on how you saved a client Millions of dollars, you can automate decision stage emails to them that dig a bit more into the problems they are having and how you could help them solve them. I also recommend connecting on LinkedIn with them and maybe some of their coworkers, if the lead is in their decision stage. You can see that lead nurturing is a way for us to try to continue the conversation with a lead, while further qualifying them. When you send them a new resource that may help them, you can use progressive profiling to ask a different set of questions on the landing page form. Gaining further insight into their current problem. When all of these emails, and form submissions are tracked in your CRM, your sales people will have tremendous context around each lead, and how they can help them. I’m sure you’re wondering how to make this happen from a technology standpoint. 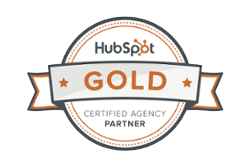 As in other steps in the process for your online marketing plan, I highly recommend HubSpot. Their Workflow tool is the most intuitive that I’ve seen for setting up marketing automation. It includes conditional branching like I mentioned above, so you can send emails based on steps a lead has taken. You can also automate tasks to salespeople for connecting on LinkedIn or picking up the phone to reach out. If HubSpot isn’t an option for you, you can integrate MailChimp with a form submission on your website. They allow for follow up email automation and drip campaigns. It’s clunkier than HubSpot, but it can work. As far as timing goes for integrating this step into your online marketing plan. I’d recommend having a workflow with 4-5 email follow ups setup by the middle of Month 2 of your Online Marketing Plan. You can start with an automated thank you and delivery of the Pillar Page PDF we discussed in previous videos, but you should quickly add in the additional follow ups in Month 2. Does 50% More Qualified Leads sound Good? Hopefully you see that setting up automated follow-up for website leads is a great way to nurture them until they are ready to buy. Some may never be ready to buy, but some certainly will. By gaining more qualification details on each lead and staying in front of them, your salespeople will have a much better chance of turning these leads into customers.